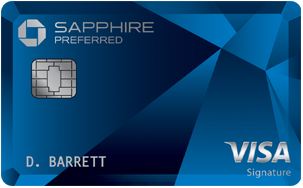 The Chase Sapphire Preferred® Card is great for frequent travelers who want to get the most value for their points. The fact that you can earn 25% more in travel redemption value by redeeming rewards through the Chase Ultimate Rewards® portal is a unique way for you to maximize points. If you are a member of select frequent travel programs, you can benefit from a 1:1 point transfer. This allows you to accumulate points with your prospective program at a faster rate. This card is targeted towards travelers, and therefore may not be a good option if you don’t travel often since you won’t earn the highest rate on everyday purchases. Also, since there is an annual fee of $95, people who want a no-fee card should look to other travel cards that may not have an annual fee. This card has a great perk for cardholders who redeem for eligible travel at Chase Ultimate Rewards®. You get 25% more value when redeeming this way and can redeem for various travel purchases such as airfare and hotels. This can get you closer to covering the cost of a flight (or other eligible travel purchase) with only points. This card has an annual fee: $95. 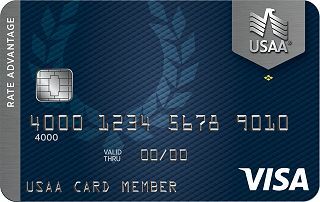 While it isn’t as high as some other travel cards that go up to $550, you can find other travel cards that don’t have an annual fee such as the Discover it® Miles, or even travel cards that have an annual fee but offer a rewards program that is more suited towards your spending habits. 24/7 Customer Service: No matter where you are, you can access 24/7 customer representatives. 1:1 transfer of points to partner frequent travel programs: For select frequent travel programs, you can transfer your points at a 1:1 rate. Participants currently include: British Airways Executive Club, Flying Blue AIR FRANCE KLM, Singapore Airlines KrisFlyer, Southwest Airlines Rapid Rewards®, United MileagePlus®, Virgin Atlantic Flying Club, IHG® Rewards Club, Marriott Rewards®, The Ritz-Carlton Rewards® and World of Hyatt. 25% more in travel redemption: When you redeem your points for travel via Chase Ultimate Rewards®, you receive 25% more value. So, 60,000 points would be equal to $750 towards eligible travel including hotel, airfare, car rentals, and cruises. Trip cancellation/trip interruption insurance: Pre-paid, non-refundable travel expenses such as passenger fares, tours and hotels can potentially be reimbursed up to $10,000 per trip when cancelled for select covered situations like sickness and severe weather. Travel and emergency assistance services: If an issues arises when you travel, call a Benefit Administrator for legal and medical referrals and other issues. To benefit the most from the Chase Sapphire Preferred® Card, use it for all dining and travel spending since you earn the highest rewards rate on those purchases — 2X points on travel and dining at restaurants & 1 point per dollar spent on all other purchases worldwide. When traveling abroad, be sure to use this card since the foreign transaction fee is $0. You get the most value for your points when you redeem via Chase Ultimate Rewards®. Receive 25% more value when you redeem points for travel this way, which is a great perk. Take advantage of the bonus and meet the requirements: Earn 60,000 bonus points after you spend $4,000 on purchases in the first 3 months from account opening. The Chase Sapphire Preferred® Card offers 2X points on travel and dining at restaurants & 1 point per dollar spent on all other purchases worldwide. Points can be redeemed for travel, cash, gift cards and more. When redeemed for cash, 1 point equals $.01. When points are redeemed for travel via Chase Ultimate Rewards®, you earn 25% more — therefore, 1 point equals $.0125. Eligible redemption options with Chase Ultimate Rewards® include airfare, hotels, car rentals, and more. You can also transfer points to participating frequent travel programs on a 1:1 rate. 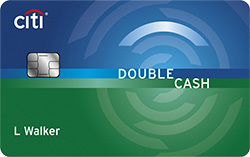 This means that 1 point with your Chase Sapphire Preferred® Card equals 1 point with a participating partner. The current partners are: British Airways Executive Club, Flying Blue AIR FRANCE KLM, Singapore Airlines KrisFlyer, Southwest Airlines Rapid Rewards®, United MileagePlus®, Virgin Atlantic Flying Club, IHG® Rewards Club, Marriott Rewards®, The Ritz-Carlton Rewards® and World of Hyatt. There is a bonus where you can earn 60,000 bonus points after you spend $4,000 on purchases in the first 3 months from account opening. The Chase Sapphire Preferred® Card and Capital One® Venture® Rewards Credit Card are both travel cards with similar features. Both cards have an annual fee: Capital One® Venture® Rewards Credit Card at $0 intro for first year; $95 after that, Chase Sapphire Preferred® Card at $95. 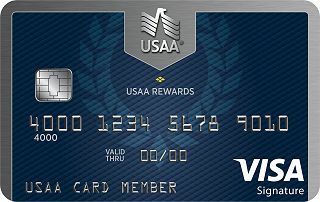 However, they differ in rewards rates: Chase Sapphire Preferred® Card offers 2X points on travel and dining at restaurants & 1 point per dollar spent on all other purchases worldwide meanwhile Capital One® Venture® Rewards Credit Card offers a great flat-rate of 2 Miles per dollar on every purchase, every day. 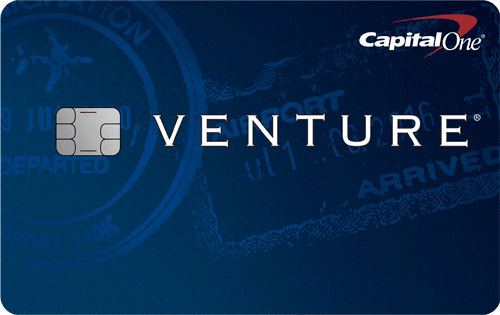 If you want to earn a consistent rate on all purchases, the Capital One® Venture® Rewards Credit Card may be a good choice. But, take note that you have more redemption options with the Chase Sapphire Preferred® Card, which allows you to transfer points to eligible frequent travel programs and earn 25% more in travel redemptions via Chase Ultimate Rewards®. Ultimately, your decision depends on your spending habits and how you want to redeem your rewards. The Chase Sapphire Preferred® Card is a great option for frequent travelers who want to maximize the value of their points. The 25% more in travel redemption you receive when redeeming at Chase Ultimate Rewards® is one of many ways you can see increased benefits with this card.